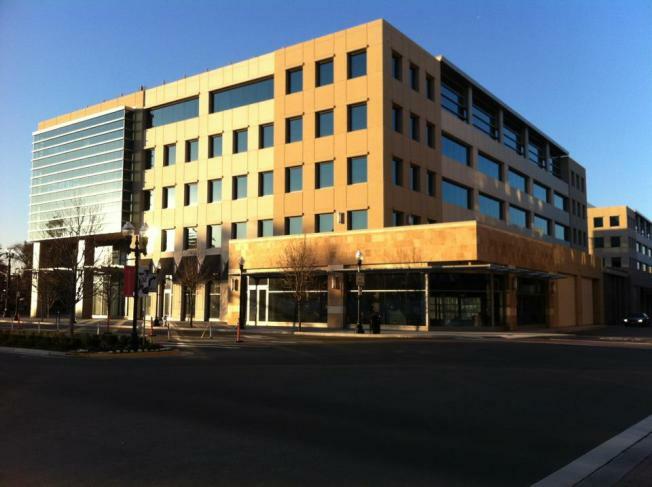 Hundreds of people will soon be headed to the office in downtown Sunnyvale. This will be the new home in downtown Sunnyvale for about 400 Apple employees. The lines for coffee and sandwiches are about to get a lot longer in downtown Sunnyvale. That is great news for city leaders who announced Wednesday that Apple has agreed to occupy the new Town Center Office building at Mathilda and McKinley. According to Sunnyvale, Apple will move 400 people into the new 156,000-square-foot building by the end of the year. "This is an important step forward," said Sunnyvale City Manager Gary Luebbers. "Our entire community will benefit as we see yet another large gain in the Town Center redevelopment project." The Business Journal reports that Apple has been snapping up properties in Sunnyvale for awhile now. Apple also signed a lease on a 224,000-square-foot building on E. Arques Avenue and a 108,000-square-foot campus on Benecia Ave, according to the Journal. Nokia also has a new presence in downtown Sunnyvale. Nokia merged several of their Bay Area offices into a new regional office at Mathilda and Washington Avenues that houses 500 employees. Luebbers said the new employees will boost Sunnyvale's economy. “They will inject more business into downtown and Murphy Avenue restaurants and shops,” Luebbers said. Locals said they can't wait for the business. "I’m so excited that Apple is coming because I bought so many Apple products and finally, finally we're gonna be making some money on Apple," Emad Ibrahim, Dishdash Mediterranean Cuisine in Sunnyvale told NBC Bay Area's Kris Sanchez. If you aren't familiar with the new downtown Sunnyvale, this is all in the general area of the old Sunnyvale Town Center. Anchor retail stores of the center continue to be Macy's and Target.